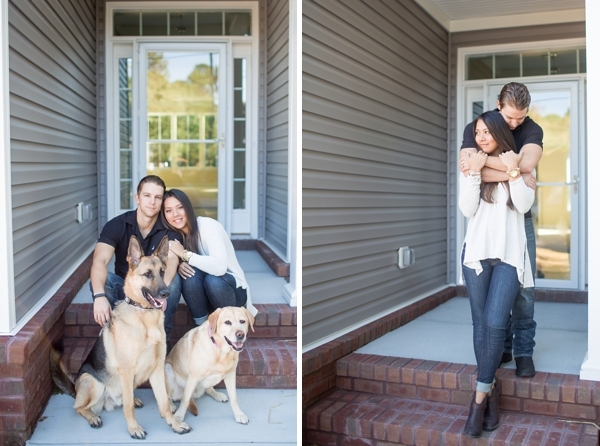 Buying a new house as a married couple is one of the big milestones in any marriage, and we couldn't think of a more perfect way to end 2014 and bring in 2015 than with this special anniversary session from T.Y. Photography! On March 16, 2012, Emerald and Adrian tied the knot in an intimate courthouse and then one year later hosted a big patriotic-themed wedding celebration with family and friends. Like every couple, they learned over the course of their marriage different lessons, but Emerald says her top advice is to enjoy the little things like breakfasts in bed or days filled with doing absolutely nothing. "It doesn't always have to be an extravagant trip or gifts to show someone how much you love them." Since they were in the middle of closing on their new home, they thought their anniversary session would be the perfect time to capture this special time in their lives. 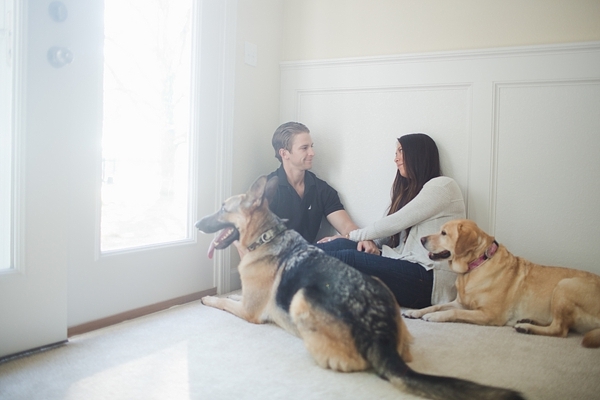 As new home owners, these two wanted to give their dogs, Noah and Jade, a yard to run and play in, a place to host family and friends, and a home to grow in as their family expands. Being a military couple, it was even more important to have a home to call their very own. After all, we all need an anchor for life's greatest adventures.